One month into Massachusetts’ new non-competition law, employers throughout the Commonwealth are learning what many predicted from the beginning—there are a lot more questions than answers. 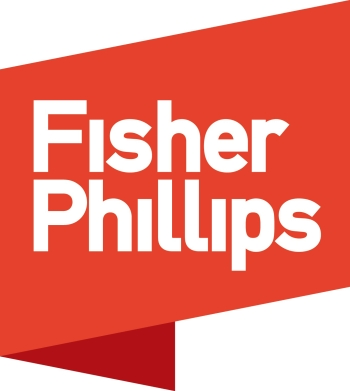 As Fisher Phillips previously reported, the new law adds several technical and substantive requirements that must be met in order to enforce a non-competition agreement. Today we spotlight a few issues employers must now grapple with. Fortunately for employers, the statute exempts a number of restrictive covenants from its definition of “non-competition agreement.” Among the exceptions are agreements not to solicit current customers, agreements not to solicit current employees, and non-competition agreements entered into at the separation of employment (so long as the employee has a 7-day revocation period). This is good news for employers, many of which have elected to utilize strong non-solicitation agreements and avoid the additional issues associated with the new law. Employers are strongly encouraged to review the interests they seek to protect and determine whether that can be achieved with a less burdensome non-solicitation agreement. As for the “who,” employers can no longer enforce non-competition agreements against employees exempt from the overtime requirements of the FLSA, student interns, and employees fired without cause or laid off. Now is a great time to review the exemption status of employees who have non-competition agreements. For Cause or Not For Cause? That is the Question. A major component of the law is payment of Garden Leave for the duration of the restricted period at a rate of ½ the employee’s compensation or payment of “other mutually-agreed consideration.” Faced with paying a departing employee for a year to do nothing, many employers are interested in what “mutually-agreed consideration” actually means. In the plainest sense it should mean that anything the employee and employer agree to as consideration for the restrictive covenant. However, setting the consideration too low will invite litigation over the sufficiency of the consideration down the road. Ultimately the amount of consideration to offer is a question of risk tolerance. Though too early to be certain, it is likely that the new statute will have impacts on other restrictive covenants and employment law generally. First, the statute’s presumptions of what is reasonable in this context will likely be referred to by judges in cases testing the enforceability of other restrictive covenants (like the non-solicitation agreements discussed above). Second, because employees are no longer bound by their non-competition agreements if terminated without cause, we will likely see more “official” for-cause terminations in certain circumstances. Though the law is still unsettled, one thing is clear—your non-competition agreement can no longer be a cookie-cutter form buried in the pile of paperwork you have employees sign on their first day. Employers should take a close look at the interests they are seeking to protect and take a case-by-case approach to their non-competition agreements.